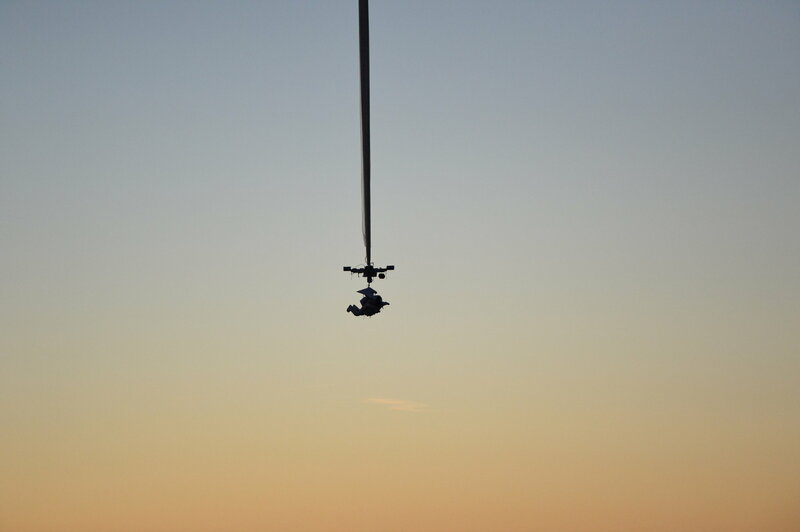 Google VP Alan Eustace Breaks Baumgartner’s Record. It was just over 2 years ago that Felix Baumgartner leapt from the Red Bull Stratos capsule from a height of 39KMs above the Earth’s atmosphere, breaking a record that had stood for over 50 years. The amount of effort that went into creating that project left many, including myself, thinking that Baumgartner’s record would stand for a pretty long time as few have the resources and desire to do something of that nature. However as it turns out one of Google’s Senior Vice Presidents, Alan Eustace, had been working on breaking that record in secret for the past 3 years and on Friday last week he descended to Earth from a height of 135,890 feet (41.4KM), shattering Baumgartner’s record by an incredible 7,000 feet. The 2 jumps could not be more different, both technically and generally. For starters the Red Bull Stratos project was primarily a marketing exercise for Red Bull, the science that happened on the side was just a benefit for the rest of us. Eustace’s project on the other hand was done primarily in secret, with him eschewing any help from Google in order to avoid it becoming a marketing event. Indeed I don’t think anyone bar those working on the project knew that this was coming and the fact that they managed to achieve what Stratos did with a fraction of the funding speaks volumes to the team Eustace created to achieve this. Looking at the above picture, which shows Eustace dangling from a tenuous tether as he ascends upwards, it’s plain to see that their approach was radically different to Stratos. Instead of building a capsule to transport Eustace, like Stratos and Kittinger’s project both did, they instead went for a direct tether to his pressure suit. This meant he spent the long journey skywards dangling face down which, whilst being nightmare material for some, would’ve given him an unparalleled view of the Earth disappearing from him. It also means that the load the balloon needed to carry was greatly reduced by comparison which likely allowed him to ascend much quicker. Indeed the whole set up is incredibly bare bones with Eustace’s suit lacking many of the ancillary systems that Baumgartner’s had. One that amazed me was the lack of any kind of cooling system, something which meant that any heat he generated would stick around for an uncomfortably long period of time. To get around this he essentially remained motionless for the entire ascent, responding to ground control by moving one of this legs which they could monitor on camera. They did include a specially developed kind of parachute though, called Saber, which ensured that he didn’t suffer from the same control issues that Baumgartner did during his descent. It’s simply astounding how Eustace and his team managed to achieve this, given their short time frame and comparatively limited budget. I’m also wildly impressed that they managed to keep this whole thing a secret for that period of time too as it would’ve been very easy for them to overshadow the Stratos project, especially given some of the issues they encountered. Whilst we might not all be doing high altitude jumps any time soon the technology behind this could find its way into safety systems in the coming generation of private space flight vehicles, something they will all need in no short order. 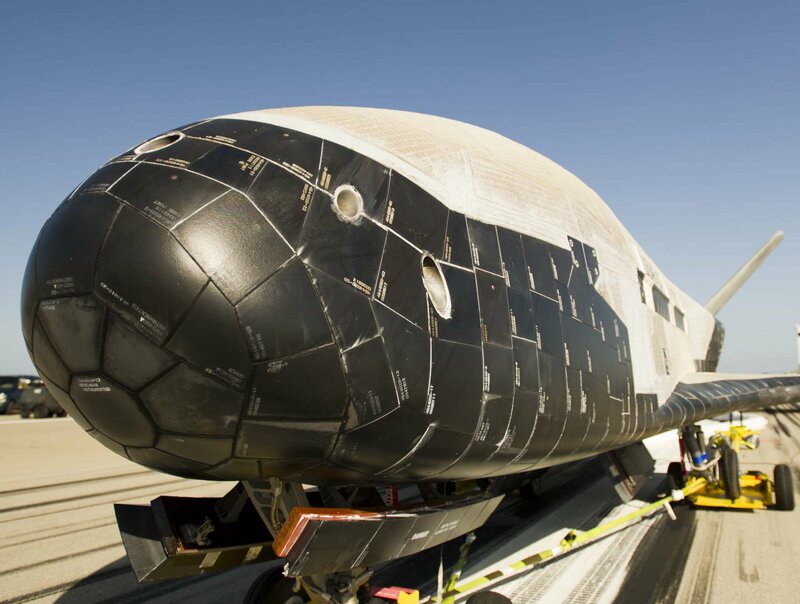 It’s been a long time since I wrote about the X-37B, originally NASA’s but now the Department of Defense’s secretive space plane, and that’s mostly because there’s not been a whole lot to report.The secret nature of its mission means that no details about its payload are readily available and unlike the first time it was launched it’s been behaving itself, staying within its own orbit. Still that didn’t stop the Internet from going on a rampage of speculation, the highlight of it being the ludicrous idea that it was spying on China’s efforts in space. However over the weekend it returned from its orbit around the earth after a staggering 2 years on orbit. Now 2 years might not sound like a long time, especially when the Voyager satellites are pushing 35+ years, however for a craft of this type such a record is a pretty significant advancement. Most capsules and spacecraft that had downrange capacity (I.E. they can bring stuff back) usually have endurances of a couple weeks. Even the venerable shuttle could only last a couple weeks in orbit before things started to get hairy, even if it was docked to the International Space Station. With the X-37B able to achieve an endurance of 2 years without too much of a struggle is a pretty impressive achievement and raises some interesting questions about what its true purpose might be. The official stance is that it’s a test platform for a whole host of new space technologies like navigational systems, autonomous flight and so on. Indeed from what we’ve seen of the craft it certainly contains a lot of these features as it was able to land itself without human intervention just last week. It’s small payload bay nods towards some other potential purposes (the favourite speculation is satellite retrieval) but it’s most likely just used to house special equipment that will be tested over the duration of the flight. There’s potential for it to house some observational equipment but the DoD already has multiple in-orbit satellites for that purpose and unlike spy satellites of the past (which used film) there’s no real need for downrange capabilities in them any more. Unfortunately any technological innovations contained within the X-37B are likely to stay there as NASA hasn’t been involved in the X-37B project since it handed it over. It’s disappointing really considering that the DoD has a budget for space activities that equals NASA’s entire budget and there’s definitely a lot of tech in there that they could make use of. Thankfully the private space industry is developing a lot of tech along similar lines so hopefully NASA and its compatriots will have access to similar capabilities in the not too distant future. Maybe one day we’ll find out the true purpose of the X-37B much like we did with Hexagon. Whilst the story might be of the mundane the technology powering things like Hexagon never ceases to amaze me. If the X-37B is truly a test platform for new kinds of space tech then there’s likely things on there that are a generation ahead of where we are today. We may never know, but it’s always interesting to let your mind wonder about these things.